Our 4.5 Star Novotel Wellington is located in the heart of the CBD, close to iconic attractions - Gallipoli Exhibition at Te Papa created by Oscar winning Weta Workshop and the Sir Peter Jackson-inspired Great War commemoration. The Cable Car, Botanical Gardens and the Waterfront are all within walking distance. 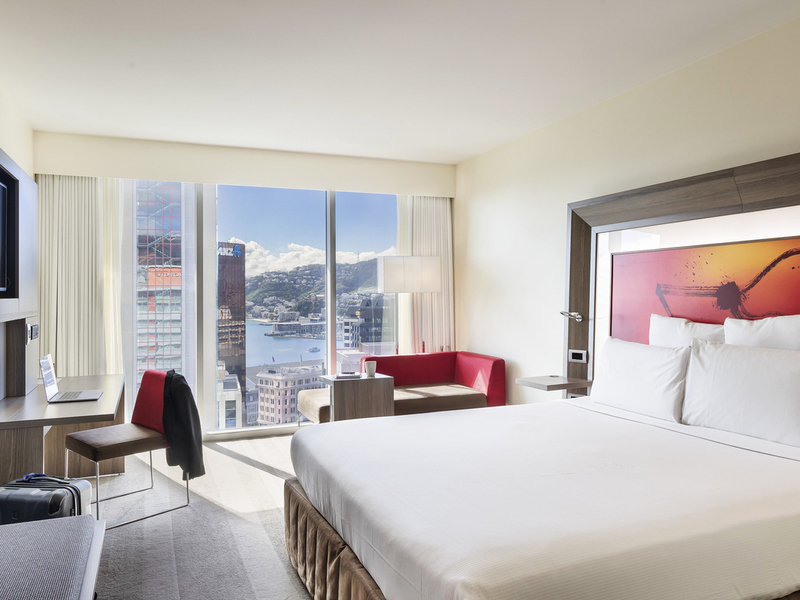 Enjoy Harbour views of the city in our modern rooms designed with splashes of colour and comfort. Direct access to Lambton Quay will see you in the centre of Wellington's shopping district. A modern spacious room with a choice of 1 King bed or 2 Double Beds, en suite bath and shower, ergonomic work area, LCD TV and WiFi internet access, hair dryer, minibar, tea and coffee. Up to 2 adults and 2 children. A modern spacious room with city or harbour view, a choice of 1 King bed or 2 Double Beds, en suite bath and shower, ergonomic work area, LCD TV and WiFi internet access, hair dryer, minibar, tea and coffee. Up to 2 adults and 2 children. Caucus Restaurant and Bar offers contemporary New Zealand cuisine in a relaxed setting. Caucus Restaurant provides a buffet breakfast (6.30am to 10am), all day dining (10am to 6pm), a la carte dinner (6pm to 10pm) as well as 24 hour room service.